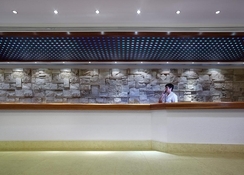 Hotel Hermes Agios Nikolaos is located opposite a beautiful pebble stone beach in Nikolaos. The hotel is nestled between a lovely bay and offers amazing views of the mountain range. The guestrooms at the hotel are well lit and spacious. They come with all the necessary amenities required by the modern traveller. 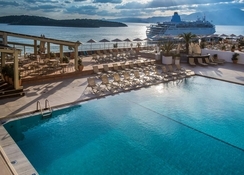 The hotel also houses a rooftop swimming pool that offers excellent views of the mountains and the sea. There’s also a solarium and a sauna where guests can relax. The hotel is close to several tourist attractions. The blue flag pebble beach opposite the hotel is connected via an impressive tunnel directly to the hotel. 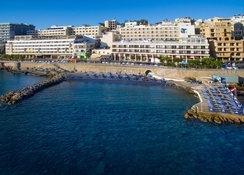 Hotel Hermes Agios Nikolaos is located in the north-eastern part of Crete. Opposite the hotel is a blue-flag pebble beach. The Heraklion International Airport is about 65km from the hotel, while on the other hand, the Sitia airport is 70km. Within the vicinity of the hotel there are numerous shops, bars and restaurants. 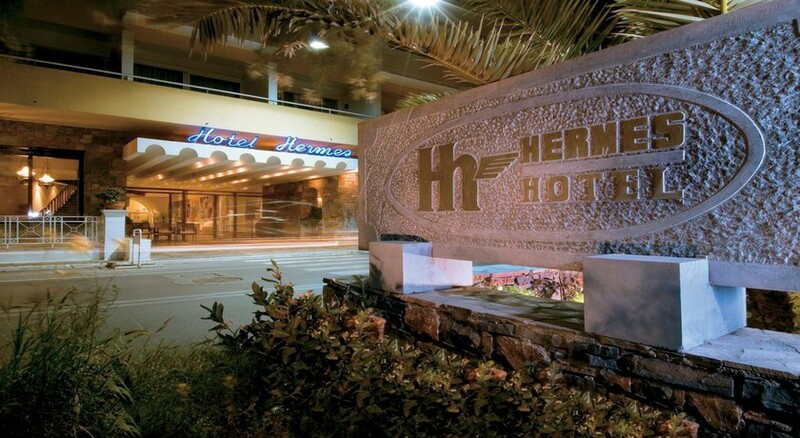 The guestrooms at Hotel Hermes Agios Nikolaos are categorised as Hermes Suite, Hermes Family sea view, Hermes Family Town View, Superior Double / Twin Sea View, Hermes Double Twin Sea View, Hermes Double Twin Town View and Hermes Single Town View. Amenities in the rooms include safe, tea & coffee making facilities, satellite TV, en suite shower, hair dryer, continental socket, in-room hair dressing services, iron and ironing board available on request and much more. Hotel Hermes Agios Nikolaos features two splendid restaurants. The main restaurant Phaethon provides stunning views of the bay and offers authentic Greek cuisine. The Bay View Snack bar is located next to the pool and serves light bites and a variety of alcoholic and non-alcoholic beverages. The breakfast type is buffet and it is provided during 7am – 10am. 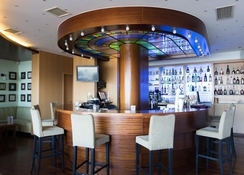 Evening drinks can be enjoyed at the lobby lounge, Ikaros and the Del Mar bar. At Hotel Hermes Agios Nikolaos recreational amenities include a sun terrace, a solarium, massages and a sauna. Guests who wish to be active on holiday can enjoy activities such as aerobics. For convenience the following services are offered: laundry service, room service, currency exchange, babysitting, wake-up service and ironing service. Internet access is provided at Wi-Fi-hotspots. Reception hours are round the clock.